This guide covers all the stages involved in selling your business, from preparation to the Letter of Intent. 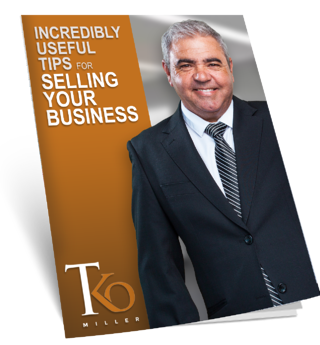 It is a comprehensive look at a complex issue and it is organized in the same way that a transaction timeline typically occurs, so a business owner involved in any stage of a sale can pick up the book and begin looking at tips immediately. This book is appropriate for anyone planning on selling their business in the future or currently involved in the process. Enter your details below and one of our representatives will contact you. The professionals at TKO Miller were experts at the transaction issues that arose when I bought S.R. Sales. However, they also brought to the table the ability to deal with issues such as understanding family dynamics and personalities. Without their experience in both the technical and emotional areas of a transaction, it would never have been completed.